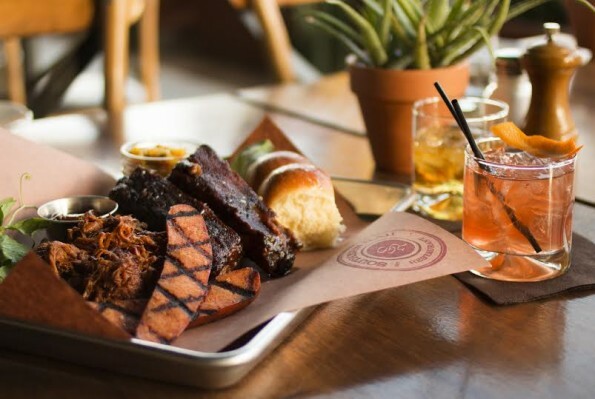 Every Monday and Tuesday, from 5pm-close, guests can enjoy a killer deal on a platter of barbeque, accompanied by two glasses of bourbon, for only $20. The sharable tray includes meat with sauce and a side. Each week the platter will change – juicy, smoked meats will depend on Chef’s whim, and seasonal veggies will influence the side. Think sticky ribs, pulled pork, smoked sausage, classic BBQ sauce and a side of crunchy chow-chow, paired with a glass of bourbon or a classic Old Fashioned. Guests can choose from a selection of 12 different bourbons, which can be enjoyed up, on-the-rocks, or in a cocktail like a Sazerac or Old Fashioned. And for those that are not lovers of the sweet brown nectar, the offer also extends to a bottle of wine (also from a select list), or two draft beers.